April is the prime time for ski expeditions. The days are long, the glaciers filled in nicely, the snow consolidated and the avalanche danger low. A perfect time for those week-long trips into the far reaches of the southwest B.C. In this post I will offer some ideas for popular traverses within 100 km from Vancouver. Our mountainous backyard is so vast that you are very likely to have it all to yourselves. Now, this might be the only traverse on this list where you will NOT be alone. Spearhead traverse used to be a major undertaking but nowadays, with chairlift access and more and more people venturing into the backcountry of Whistler-Blackcomb, this has become a very popular trip and you will have no trouble following tracks of other people, even following groups of other people. It is still a beautiful traverse, with lots of up and down, best done over 3 days. Crossing some large slopes so make sure avi rating is favourable. 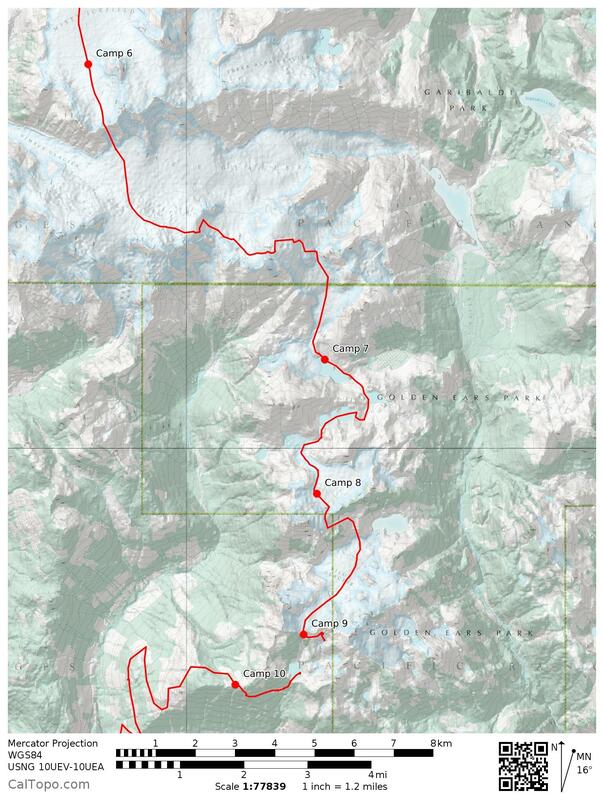 McBride traverse crosses the entire length of Garibaldi Park and requires great route-finding skills. This is definitely a trip for someone who already has a few years experience in the backcountry as it requires travelling on glaciers and navigating in an unfamiliar terrain. While remote and involved I see more and more people doing this quintessential southwest B.C. traverse every year. Many variations of the entry and exit points exist. The mysterious, unknown Misty Icefields…. this is the feel you’ll be having crossing this rarely visited terrain where none of the peaks will be familiar to you (as they are not quite visible from Vancouver or Sea-to-Sky). Navigation is fairly straightforward though as the terrain is mostly open and easy to read. The logistics, however, won’t be. This is a Point A to point B traverse so you will need to arrange for some transportation to your starting point on the Lillooet Lake side and exit point at Pitt Lake – two vastly distant places! This traverse gets less credit than it deserves. One drawback perhaps is that it requires a short, 10-minute, helicopter flight from Blackcomb heli base to the summit of Mt Currie (~$350/per person, can take up to 5 with packs and skis). But from that point on it is a smooth sailing down and towards Weart Glacier. Once there, you are in a familiar country and really close to Wedge Pass and Decker Glacier just out of Blackcomb ski resort. A wonderful shorter traverse on the west side of Sea-to-Sky highway. Relatively gentle terrain and few technical difficulties. Access, though, is a big unknown at the moment. With forest roads in the Ashlu River valley no longer maintained by the logging/IPP projects, many of the access points are no longer easy to get to by car. Still doable for a determined party though! A detailed trip report HERE. 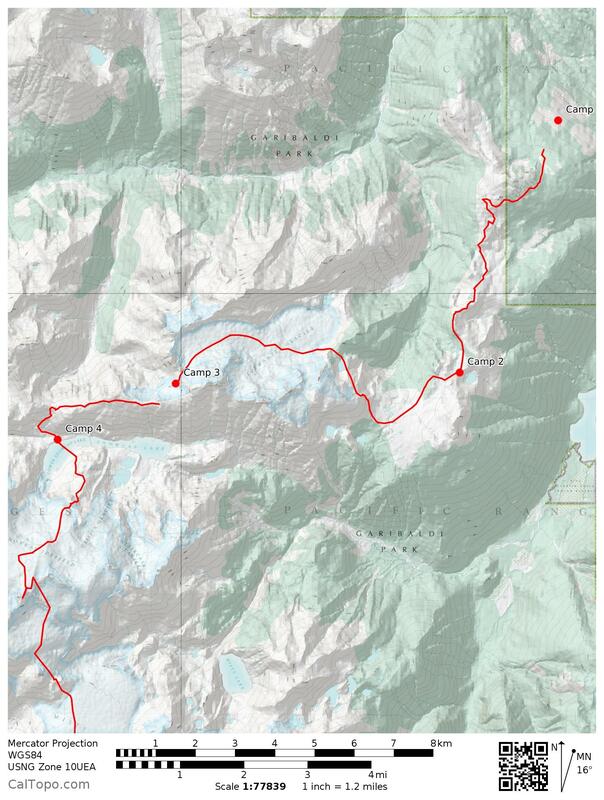 There are many more ski traverses that can be done around here, the options are literally limitless as anything past Squamish going NW is just one big backcountry stretching all the way to Alaska. The traverses I have described here are those that are well documented and easily planned and executed from Vancouver. I hope this post provided some inspiration for planning an unforgettable ski trip in the southwestern B.C.